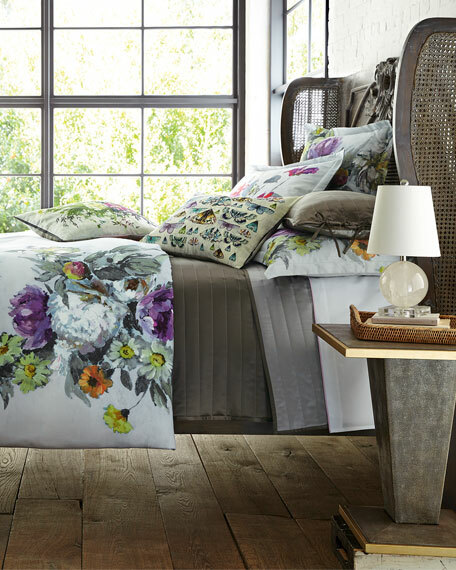 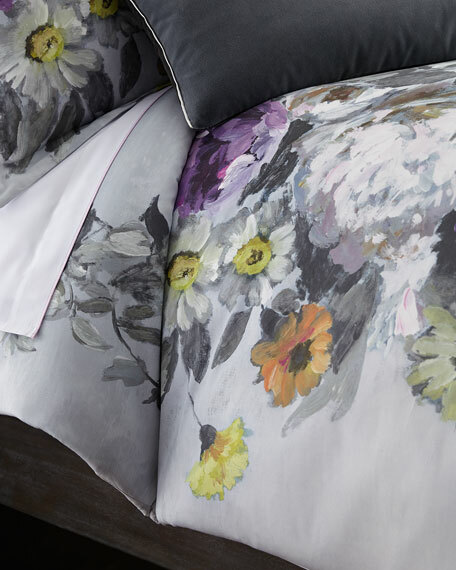 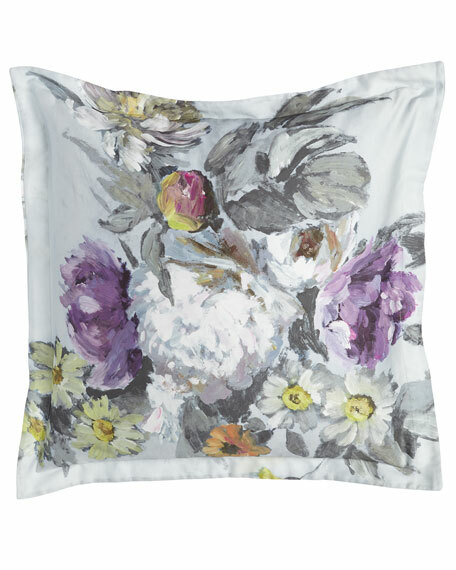 Duvet cover features a colorful floral print against a cool gray background. 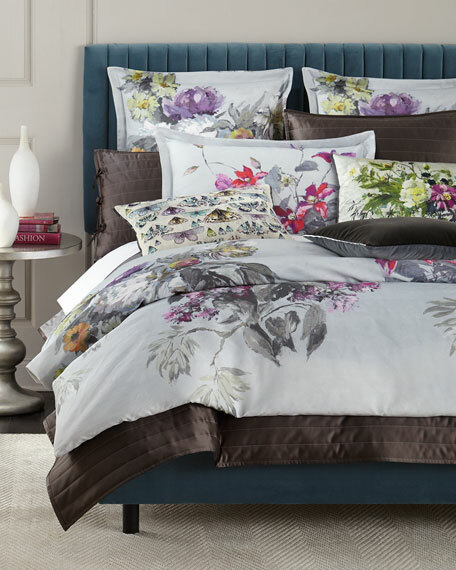 Sham features a colorful floral print against a cool gray background. 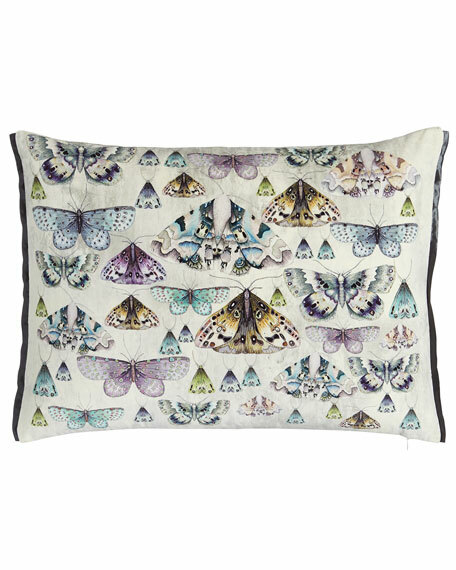 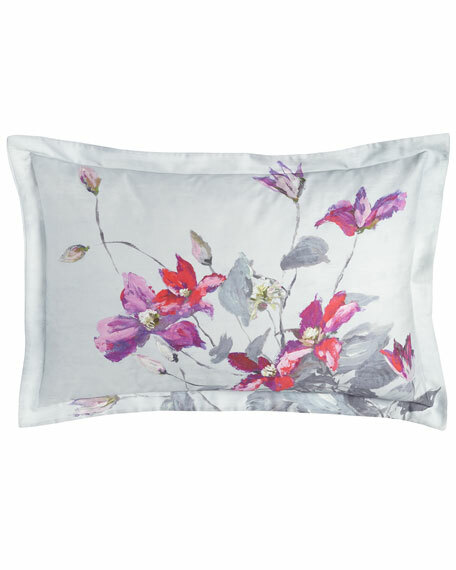 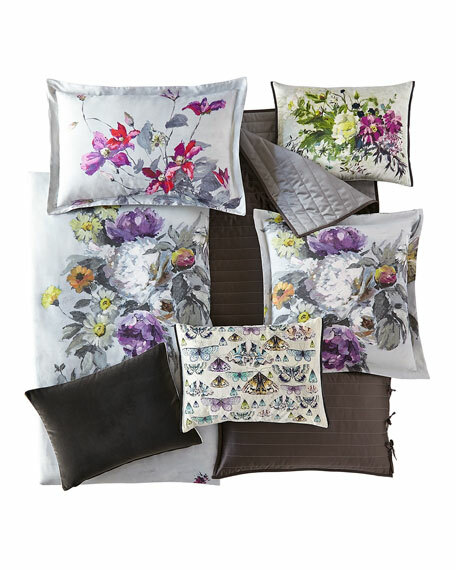 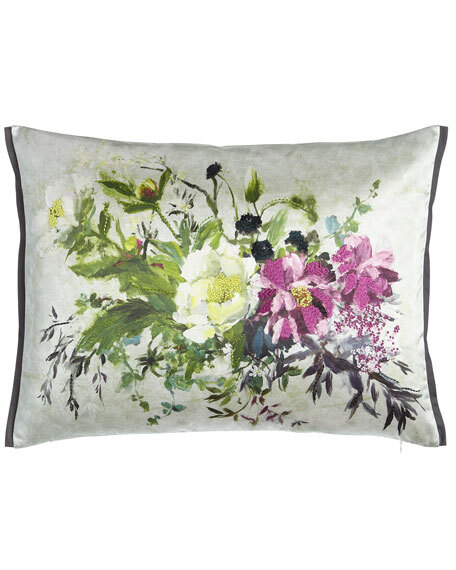 Satin pillow with floral print.